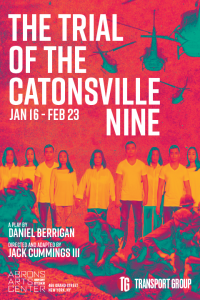 A new production of Daniel Berrigan's "The Trial of the Catonsville Nine" is modern, moving and — most importantly — motivating. Courtrooms are sterile, airless places with strict dress codes and tightly scripted dialogue. They are places of fear, judgment and dire consequences. You don’t expect declarations like “We agree that this is the greatest day of our lives.” And yet, that was Daniel Berrigan’s response upon hearing the jury’s guilty verdict in the trial of the Catonsville Nine — a trial in which he was one of the defendants. It all stemmed from an action that took place on May 17, 1968, when he and eight other Catholics burned more than 300 1-A draft files in the parking lot of the Knights of Columbus building in Catonsville, Maryland. They used homemade napalm. As the files burned, they stood in a semi-circle and recited the “Our Father.” Three wore clerics collars: David Darst, Daniel Berrigan and his brother, Philip Berrigan. Darst was a Christian Brother, and Phil Berrigan was a Josephite priest, who was later excommunicated when he and Elizabeth McAlister, a Catholic sister, married. (They had three children, and I am their eldest). Dan Berrigan was a Jesuit priest. The others were neatly dressed: Marjorie Melville and her husband Tom (they met in Guatemala, where they were a nun and priest), George Mische, Mary Moylan, John Hogan and Tom Lewis. The activists had alerted the press and, as the cameras were rolling, they burned the files that would call young men to military service in Vietnam. That was a pretty great day for the nine, as they filed into the waiting police van. Some waved peace signs back at the cameras and the small crowd that had gathered. Right then, they knew they had accomplished their aim of destroying the records so that young men would not be drafted. They hoped to kindle a movement of draft board raids that would destroy tens of thousands of similar documents across the country over the next few years. They hoped that the spectacle of nine Catholics being arrested and tried for property destruction would awaken a somnolent Catholic Church into action against the war in Vietnam. By the time their trial started that fall, they knew they were accomplishing all these aims and more. They were demonstrating the power of community. They were using the trial as a platform for speaking about conscience, racism, economic exploitation, U.S. history and their faith. They were not following the script. They were not cowed by decorum. They were not afraid of the consequences of their actions. That was more than 50 years ago. All but two of the co-defendants have since passed away. Wars continue to rage in every corner of the globe. 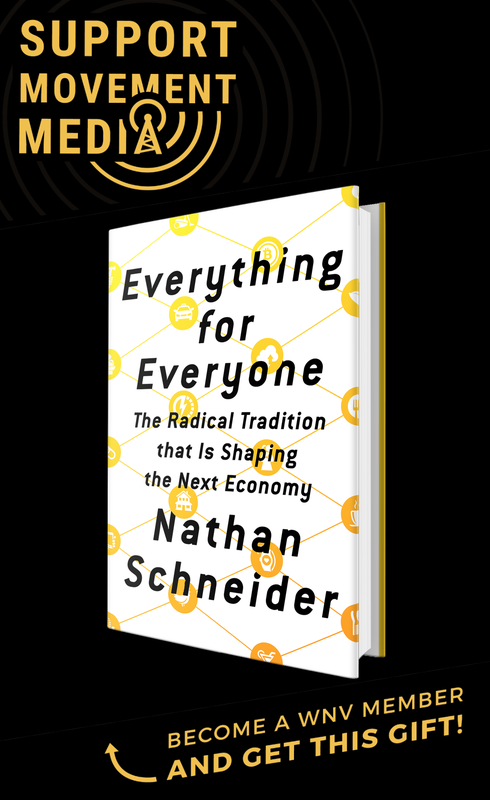 The world moves so much faster today than it did in 1968, and the Catholic Church has lost most of its moral authority. 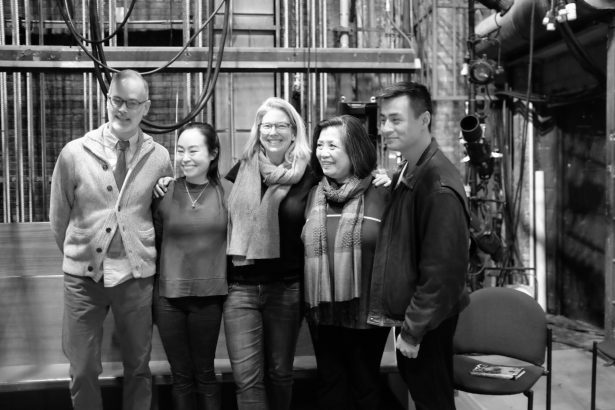 But this time, the words were uttered by actor Eunice Wong, one of just three actors — alongside Mia Katigback and David Huynh — in a play with more than a dozen parts. Together, they inhabit the roles of all nine co-defendants, the judge, the prosecution, the defense and the witnesses. 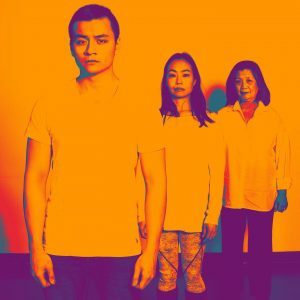 The three actors are members of the National Asian American Theatre Company, which is a partner in the Transport Group’s production, running through Feb. 23. The actors share and trade roles throughout the production, sometimes speaking lines together, sometimes switching from judge to defendant to prosecutor, and sometimes alternating between interior thought or recollection and testimony. All this is done without conventional gimmicks like different voices, accents or quick costume changes. Actors David Huynh, Eunice Wong and Mia Katigback. Wong, speaking as Daniel Berrigan, begins weeping at one point late in the play while speaking these words to the court: “We have chosen to say with the gift of our liberty, if necessary our lives: the violence stops here, the death stops here, the suppression of truth stops here, the war stops here! Redeem the times! The times are inexpressibly evil, and yet — and yet — the times are inexhaustibly good, solaced by the courage and hope of many.” I started crying too. And I am sure I was not the only one. I’ve always thought of my uncle, who passed away in April 2016 just a few days before his 95th birthday, as a reserved and self-contained man. He did not weep in public, in my experience. But there he was — vividly resurrected with a full depth of emotion — in Wong’s portrayal, and I felt reunited with him in that moment. It was an incredible gift. Another, less personal, gift of the Transport Group’s production was how the work put the nine defendants on equal footing. As someone who bears the name Berrigan, I have always been conscious of how the media viewed the Catonsville Nine as the “Berrigans and 7 others” and how that celebrity-driven shorthand obviates the contributions of John Hogan, Tom Lewis, David Darst, Mary Moylan, George Mische, Marjorie and Tom Melville. In traditional productions of the play, there are always eight static figures of the defendants who are not speaking. But in the hands, voices and bodies of Wong, Huynh and Katigback there is no room for stardom or media-anointed leadership. The nine defendants’ voices are equalized by their embodiment in the three actors. Jack Cummings III’s production of the “Trial of the Catonsville Nine” is modern, moving and — most importantly — motivating. There is no separation between actor and audience. We are implicated; we are the jury that finds them guilty or we are the supporters who must leave the courtroom to continue the work while they are hauled off to prison. The Kings Bay Plowshares — Elizabeth McAllister, Father Steve Kelly, Mark Colville, Martha Hennessey, Clare Grady, Patrick O’Neill and Carmen Trotta — acted in the spirit of the Catonsville Nine. It was an honor to speak their names and share their story after Saturday’s performance, when I was invited to share my reactions and thoughts in a discussion facilitated by the show’s dramaturg Kristina Corcoran Williams. I offered that Uncle Dan would have loved to sit next to me in the audience and see his work, his words and his life-witness revitalized by all who contributed to the production. Redeem the times. Dismantle the weapons. Thank you, Frida, wish I could have been there! I met your father in Ann Arbor, MI back in 1966 when he was giving a talk at U. of M. What a privilege to meet him, and to hear him talk with a small group of Detroit activists after the talk to the larger group. I’m looking forward to getting and reading your own book listed above. I saw a presentation of the Catonsville play here in Walla Walla last year presented by Whitman College students.